The 1980s….the decade that fashion forgot but which also produced some of the most awesome music of all time! 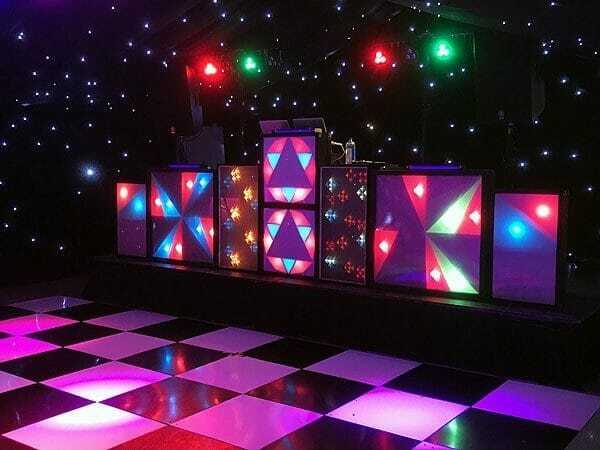 The 80s Roadshow is a genuine mobile disco light-show as would have been seen at functions during the 1980s, and was indeed the first type of mobile disco I used to use. With the advantage of digital quality sound and the enhancement of just a few modern-day fixtures (the original light-shows lit the floor, not the room! 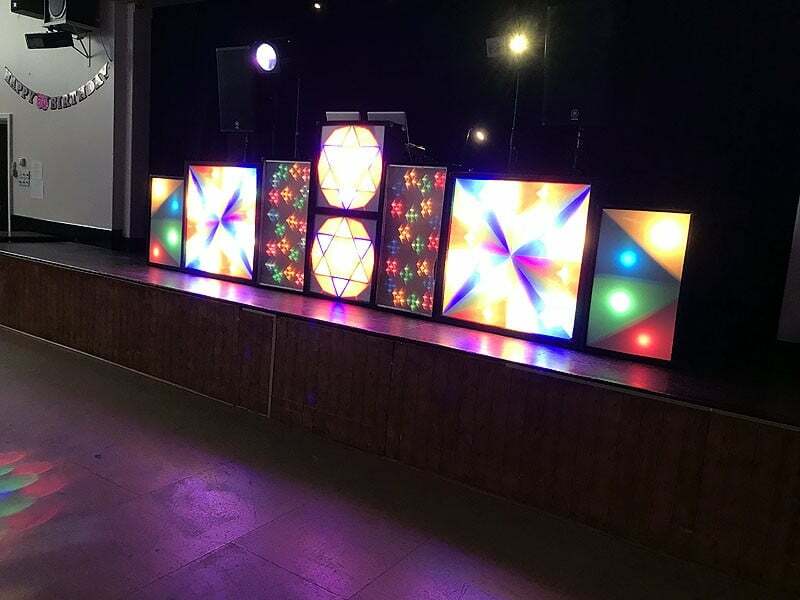 ), the 80s Roadshow is being used more and more for milestone disco parties in Cambridgeshire, Norfolk & Suffolk….especially those with a theme based around the 1980s. It’s old, it’s heavy, and it’s how a disco used to look! Although nearly 40 years old, this particular setup probably receives more comments from customers and guests than any other I take out onto the road. It’s a real trip down memory lane! 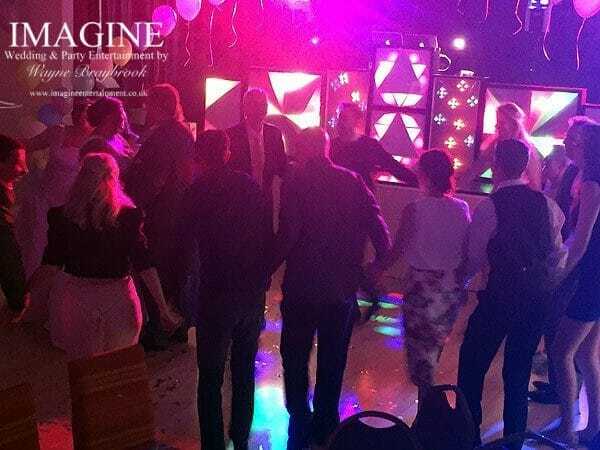 Fancy dress from the era, pineapple and cheese on sticks, and music from your youth….what better way to celebrate your special birthday than with a disco setup the way things used to be back then? 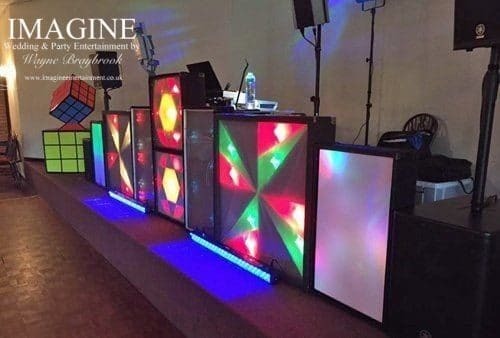 The mobile disco of the 1980s consisted of (mainly) homemade light screens which formed a barrier of lights between the DJ and the guests. Many of them were unique to the disco owner being hand built! I regularly scour online auction sites looking for more examples of retro lighting to complement the existing setup. It’s getting harder and more expensive to find good examples of original equipment, but it’s a challenge I love as much as running the show itself. The 80s Roadshow is a real labour of love! All of the light screens have been restored and re-wired to modern electrical standards and are now powered with LED golfball lamps instead of 35-watt incandescent lamps (it’s greener and produces a lot less heat running at just 300 watts of power rather than it’s original 1.3Kw!). It’s also a lot brighter and more reliable than it used to be! 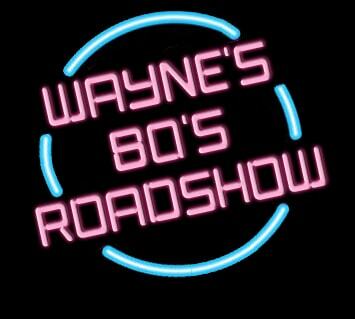 This roadshow is ideal for 80s parties and weddings in Cambridgeshire, Norfolk & Suffolk. It’s not unusual for clients to request this setup for weddings because it’s so different from today’s equipment. 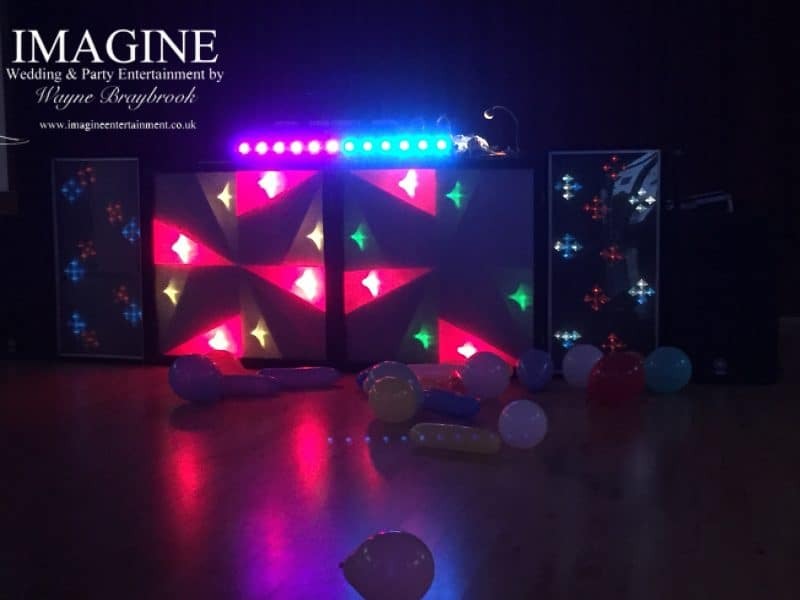 So if you’re considering an 80s themed party or wedding, why not get in touch and let’s start re-living the awesomeness of the biggest days of the mobile disco! Of course, you don’t have to stick to just the music from the era. You’re more than welcome to have any music you wish at a retro party – the choice is entirely yours! That’s the all-important question. 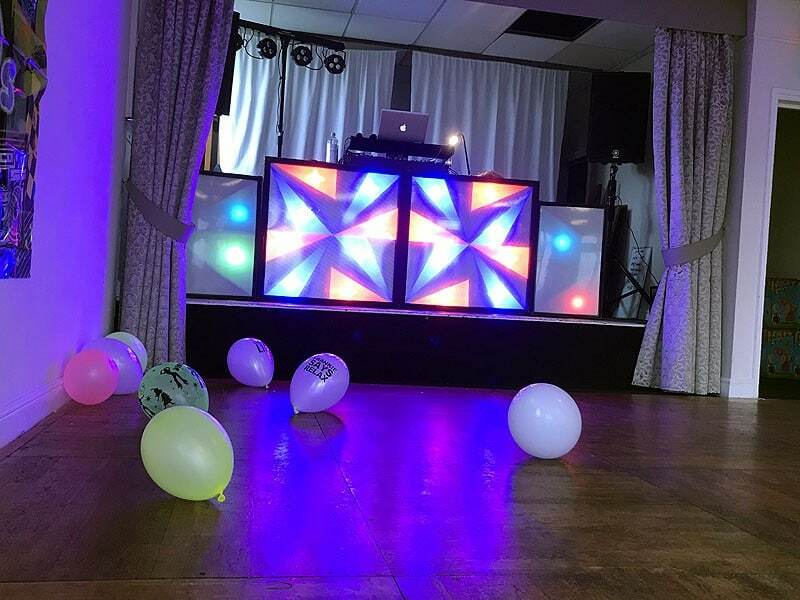 It costs a lot to run a mobile disco service in this day and age and I try to keep my prices competitive….but still have to earn a living from what I do. The 80s Roadshow is particularly expensive to maintain being the antique that she is! My fee for a Retro Roadshow party is just £450. What does the 80s Roadshow look like? 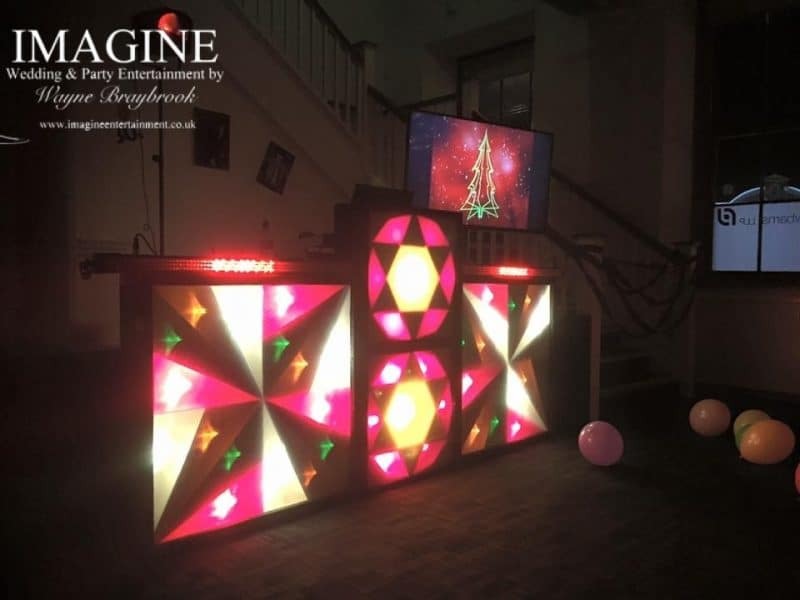 As with all of my setups, the 80s Roadshow can take on several guises for your party with displays from 6 feet in width to the full 16 feet depending on the space available. Retro is now back in fashion – and I can offer a full retro lightshow. It’s something a little bit different from the norm! 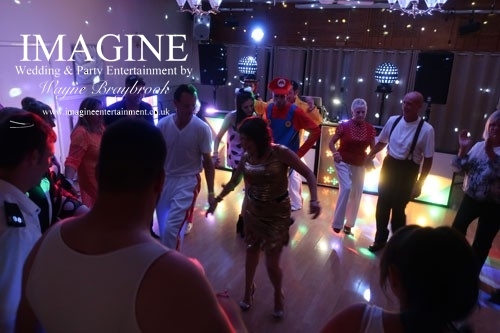 The Retro Roadshow is only used at around a dozen parties a year (that’s my own restriction), and when it DOES go out….the results are always AWESOME!